Trina stirred in her bed as her mother shook her shoulder to wake her. With a sudden start, she flicked her eyes open, realizing what day it was. Excitement coursed through her nine-year-old body and her toes and fingers tingled with anticipation of the day to come. It was the very best day of the year. A day filled with all things, red, pink and lacey. A day devoted entirely to …. LOVE! Valentine’s Day! Bounding from her bed, Trina ran straight to her closet to put on the clothes she had carefully picked out the night before. A red top, pink skirt and white tights with little hearts on them … that would do it! She skipped into the kitchen, shouting, “Happy Valentine’s Day, Mama!” in a sing-songy voice. Then she ran straight to her mother and smothered her with kisses. “Trina, what is it?” her Mom responded, confused. “Oh yes, so it is,” said her mom, with less enthusiasm than her daughter. “And here is a Valentine especially for you!” Trina reached into her backpack and pulled out a pretty red envelope. Her mother rolled her eyes, opened the card and looked up at Trina. Again, her mother rolled her eyes, but Trina ran out towards the school bus, feeling gooshy with love. “Trina … your breakfast!” her mother called after her. When she arrived at school, her energy escalated. There, lining the halls were red paper hearts of every shape and size. Pure bliss! The Grade 1 class really outdid themselves this year. Trina was in Grade 4, so she imagined her class would be extra Valentiney. She entered the room in eager anticipation, expecting to take in a sea of red and pink outfits. Maria had on red pants and Jess had a white shirt with a heart on it, but otherwise, everyone was wearing dark winter shades. Where is the love? Trina wondered sadly. She straightened up when she decided that the love would come when the Valentines were exchanged. The hours ticked by slowly and there was still no mention of Valentine’s Day. It was 3:00 and school let out at 3:10. How was this possible? 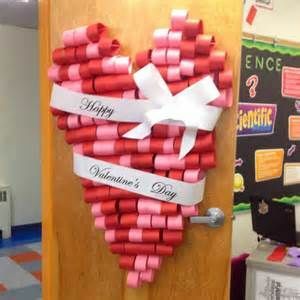 Trina pulled a bundle of homemade cards out of her backpack and placed one on each and every desk as she wished each classmate, “Happy Valentine’s Day”. Trina felt full of love and was smiling from ear to ear. As she returned to her desk, she looked at the pile of cards waiting for her. Her heart sank. Only five little valentines out of a possible twenty-four. Could you even consider five valentines a pile? Trina did her best to hide her disappointment and tucked the five cards into her pack. As she walked from the building, Trina noticed that two of the heart-shaped hall decorations had fallen to the floor. They were torn and covered with footprints. Where is the love? Trina wondered yet again. She sat quietly on the bus as she leafed through her sparse valentine collection. Perhaps she could still find some joy … some love. She looked at one of the Valentines. Oh, April’s writing, she thought with some excitement. It was a beautiful envelope for sure, and inside … a store-bought card? What was April thinking? Trina’s enthusiasm deflated a little more. The next one had a red envelope and it looked like Jimmy Smith’s printing. Oh, how she adored Jimmy Smith. Her heartbeat began to quicken until she read the back of Jimmy’s card. From Jimmy … and it was in his mother’s printing. What was happening? The next card was sweet, but it was from four-eyed, freckle-faced Roger, who had crushed on Trina since grade one. Thoughtful, yes, but her cup still felt empty. Feeling so disappointed, Trina decided to leave the last two unopened. When she arrived home, she walked slowly, head hanging down, feeling heart-broken; making every attempt to hold back her tears until she reached her bedroom. As she entered the safety of her little space, Trina was about to let her tears flow, when something caught her eye. There, on her mirror was a huge, heart-shaped, handmade card. It was red and lacy and perfect. Trina pulled it from the tape. She smiled at the effort put into making the card and slowly opened it. Inside were some beautiful words, Trina, you are such a special girl and you are so filled with love. This is your day! Then at the bottom of the card were the words: Love, Trina. XOXO. Trina sat on her bed and hugged the card to her chest. In the middle of the all the heartbreak and disappointment of this very special day, Trina realized something. It matters that you love other people, but what matters most, is that you love yourself … and Trina did. 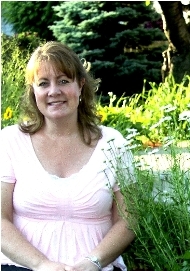 Colleen Crawford is from Stoney Creek, happily retired and enjoys volunteering in her community, photography and nature. She has loved to write since childhood and enjoys letting her imagination fill many empty pages. Recently, she is trying her hand at writing for children. Such a sweet story, and great lesson! Thanks for that Colleen :) xo Happy Valentine's Day!